For some of us, seasickness is the most frustrating part of sailing and can ruin a day on the water faster than you can get to the leeward rail. This piece outlines what causes seasickness, what our experts recommend to prevent and treat it. Some people can sail their whole lives and never get seasick while others step on a boat and immediately become sick. 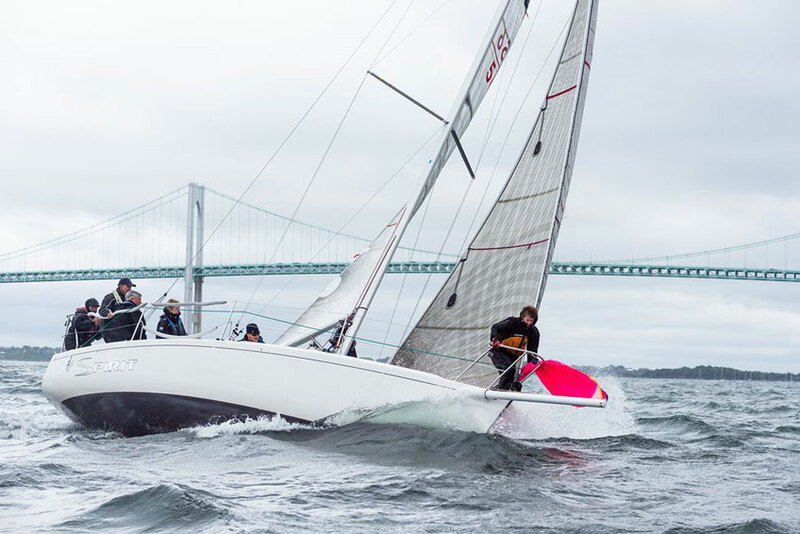 Whether you’re racing around the harbor or making a long passage offshore, it’s important to know your limits and what you can do to prevent yourself from becoming demobilized due to seasickness...especially if the waves are big and the wind is gusty. Seasickness is caused when your equilibrium sensors (your inner ears, eyes, and sensory nerves) sense you’re moving, but the rest of your body doesn’t recognize the movement. For example, being down below on a sailboat your inner ears may recognize the movement of the boat with the waves, but your eyes only see the inside of the cabin causing a conflict between your senses and resulting in motion sickness. Symptoms can include a general feeling that you’re ill, headache, nausea, sweating, and vomiting and can be debilitating while on the water. Check out sites like WebMD for more detailed info about what is going on inside of your body when sight and sense don’t align. Hydrate – Dehydration can onset symptoms of seasickness. Stay hydrated and avoid drinking any alcoholic beverages the night before or the day of, as these will dehydrate you faster. Over the counter medicine – Dramamine and Bonine are two common seasick remedies. Take these prior to heading out on the water. These can cause drowsiness, so look for non-drowsy versions whenever possible. Scopolamine patches are also very popular and effective. They stick to your skin and are normally worn behind the ears or on the wrists and secrete medicine into your skin. These will continue to work even if you begin to throw up. Stay on deck – One sure-fire way to increase your odds of getting seasick is spending too much time down below. Stay out in the fresh air and avoid going down below whenever possible. Avoid reading – Whether on a book or a tablet, reading will cause motion sickness if you’re prone to it. If it’s unavoidable, try reading on deck and for short periods of time. Sail instead of motoring – Motor sailing or just motoring can cause an uneasy feeling with most people, as it feels unnatural because keel boats are designed to move through the waves with sails. Avoid using the engine and sail whenever possible. Correct and properly trimmed sails – Having the right sails in your inventory can be half the battle and make your sail all the more manageable. Bring any older sails into your local sail loft to be recut and restore performance and handling. Older sails stretch and become deeper, making it harder to depower and control the heel of your boat when the wind speed increases. Food intake – While it’s important to eat while on the water, make sure to not overeat and avoid eating greasy, high-fat foods. Show up to the boat with food in your stomach and make sure you have easy to digest snacks like crackers to nibble on throughout the sail. While preventive measures are your best bet, sometimes becoming seasick is unavoidable. Steer the boat – This will keep your eyes on the horizon, let you lock in, decide on the heading, and give you a feeling of control over the elements. Ginger – Ginger is a long-standing natural remedy for seasickness sworn by many sailors that won’t make you groggy. Help settle your stomach with chews, candies, tea or any other form of ginger. Stare at the horizon – Focusing on something stationary while in a large sea-state will hopefully help reset your internal equilibrium. Pull the trigger – While this may not be the most appealing solution, it is arguably one of the most effective for most sailors who find themselves seasick. Empty your stomach of whatever may be sloshing around inside, but be sure to rehydrate afterwards. Seasickness is certainly one of the less glamorous parts of sailing, but hopefully with these tips you will find yourself with less time being sick and more time to enjoy being out on the water.